ATLANTA, GA --(Marketwired - October 31, 2016) - Avangate, the global eCommerce and subscription billing platform that maximizes revenue for software, SaaS and digital solutions, announced today that it was named on two Constellation ShortLists™: Campaign to Commerce and Smart Services Digital Monetization Platform. With 52 percent of the Fortune 500 turning over since 2000, success requires a rethink around the core mission and business model of an organization. The companies included on the Constellation ShortLists provide the key functionality and requirements for early adopters pursuing digital transformation initiatives. Matrix Commerce™ analyzes the disruptive pressures influencing the commerce paradigm. It spans across disciplines as people, process, and technologies continue to transform today's commerce models. The goal is to deliver campaign to commerce with a customer centric point of view. The emergence of a subscription economy coupled with digital business models drives the creation of a new type of solution known as Smart Services Digital Monetization Platforms. Legacy monetization systems lack the ability to support subscriptions, consumption-based models, and one-time transactions. Smart Services Digital Monetization Platforms provides a monetization solution for organizations operating untraditional business models. Essentially, Avangate helps companies grow their digital business worldwide by simplifying Commerce. Through automation, self-service controls, easily configurable workflows and hundreds of global payment and currency options, Avangate reduces the complexity of global sales, payment processing, order management, subscription management, taxation, billing and compliance. "Software, SaaS and online services companies need to rapidly embrace industry shifts, reach customers effectively, and adopt new business models on the fly with a view to monetizing and increasing revenues across online and offline channels. This is possible with the help of modern solutions such as Avangate, where legacy ones have failed to deliver. Constellation's recognition of these challenges that more and more businesses face and the shortlists are helping these businesses start with a solid vendor list to consider. 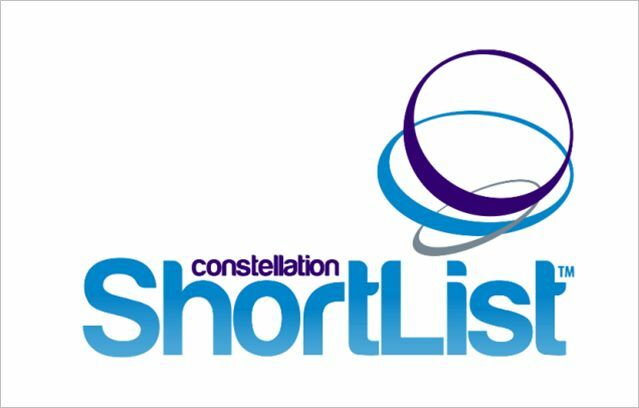 We're honored to be named not in one, but in two Constellation ShortLists: Campaign to Commerce and Smart Services Digital Monetization Platform," said Erich Litch, Avangate's Chief Revenue Officer. "Form must follow function in digital transformation. Once you craft the right digital business models, you'll need the right digital technologies for success," said R "Ray" Wang, chairman and founder at Constellation Research. "As organizations implement digital programs to disrupt an industry, employment of the right tools will determine whether or not the program is successful; each Constellation ShortList guides companies to the right technologies for their transformation initiatives." Constellation advises early adopters using disruptive technologies to achieve business model transformation. Products and services named to the Constellation ShortList meet the threshold criteria for this category as determined by Constellation Research through client inquiries, partner conversations, customer references, vendor selection projects, market share and internal research. Constellation Research is an award-winning, Silicon Valley-based strategic advisory and futurist research firm. Constellation's analysts serve as innovation advisors for leaders and Global 2000 organizations navigating the challenges of business-model disruption and transformation. Unlike legacy analyst firms, Constellation works closely with solution providers, partners, and its Constellation Executive Network of innovative buy-side leaders, C-suite executives and board of directors to lead the way in disrupting technology and research coverage areas. The goal -- deliver to clients what they need to achieve valuable business results. Avangate, a Francisco Partners portfolio company, is the digital commerce provider that helps Software, SaaS and digital goods companies to sell their products and services via multiple channels, to acquire customers across multiple touch points, to increase customer and revenue retention, to leverage smarter payment options, and to maximize sales conversion rates. Avangate's clients include ABBYY, Absolute, Bitdefender, Brocade, FICO, HP Software, Kaspersky Lab, Telestream and many more companies across the globe. More information can be found on www.avangate.com.